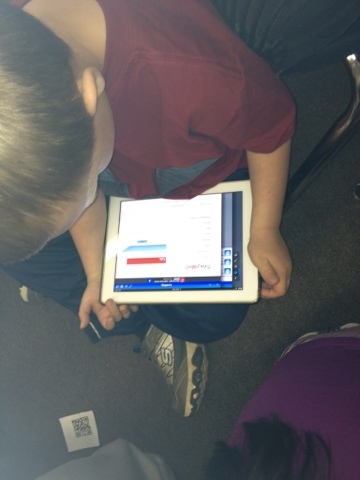 In TodaysMeet each student had an iPad and made comments during my reading. The comments were posted in a chat room I had made. 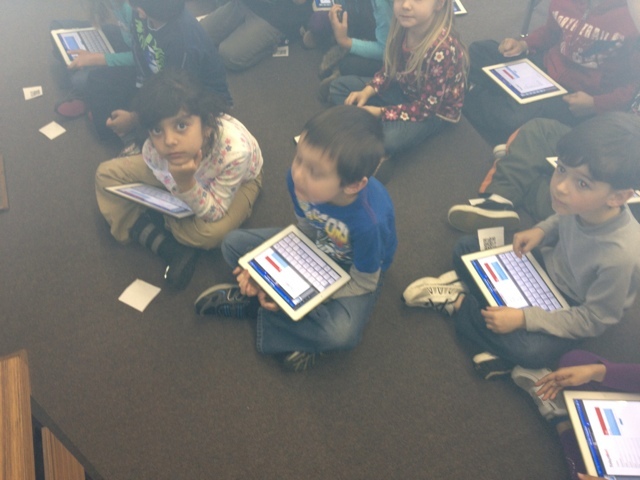 We had the "room" open on the SMARTboard to see during the story and students were encouraged to share their thoughts. Some students made one comment and some made many. 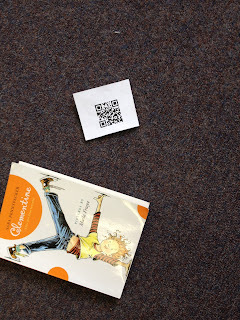 My students are 6&7 so I made logging into the web site easy by preparing a QR code for students to scan which sends them directly to the right site. While I've heard a lot about QR codes and different ways of using them, I've not always seen them as the "best" option. They have seemed like a "gimmick" to me. Fun, but why? I like the "save to home screen" option on the iPads. 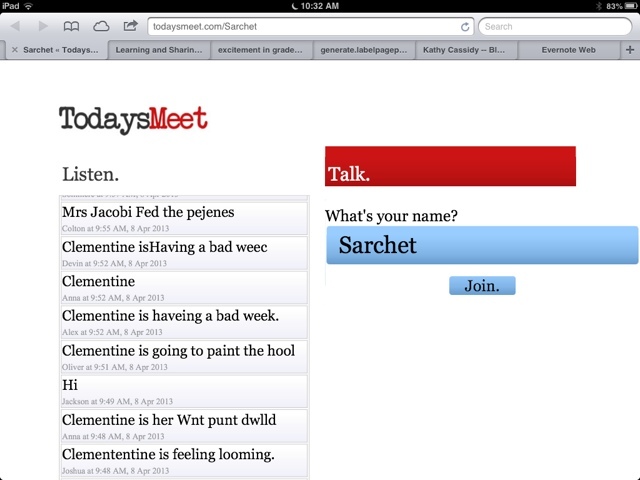 However, since every time you set up a TodaysMeet you get a new URL that option doesn't work. So QR code is the way. Guess what? It worked and not only did kids love the scanning, they got to the right site very quickly and were ready to go in no time. I've since used it a few times with the same results. I used this site to create the QR code. 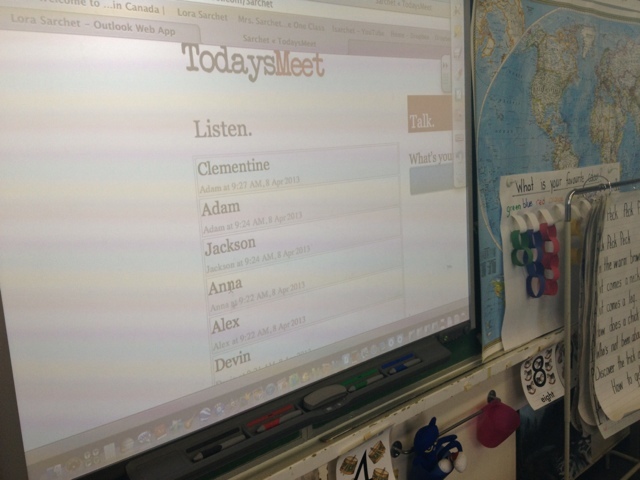 Because this was the first time using TodaysMeet with my students, I stopped various times while reading the chapter to let kids catch up their typing and read each others comments. When I finished the chapter we reviewed all the comments. Even my most reluctant writers and distracted students were successful.